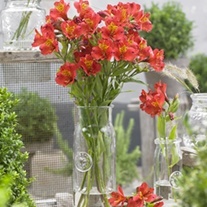 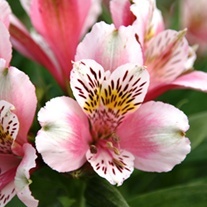 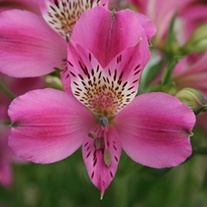 For effortless displays, few plants can surpass the Alstroemeria - often known as the Peruvian lily or lily of the Incas. 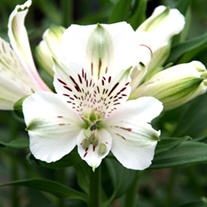 With a flowering period and intensity which will last the whole summer through, expect these plants to bloom from July although established plants can flower as early as May. 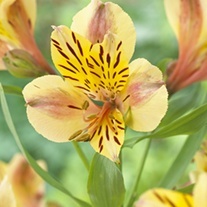 Bearing beautiful butterfly-like blooms, despite their exotic appearance these South American natives are surprisingly easy to care for and make wonderful cut flowers. 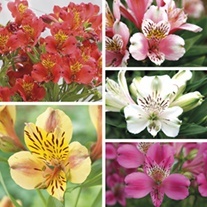 Buy three plants, SAVE £5.10!